St Tudy Church is probably named after St Tudy or Tudic. It is more than likely that the cult of St Tudy reached Cornwall from Brittany, (where there are several similar names, Loc-Tudy for example). The present church of St. Tudy was enlarged in the late 15th and early 16th century; the first church here being just a nave and chancel. There is evidence of Norman work on the north side of the nave. Transepts were added in the 14th century; the southern transept being removed when that aisle was built. 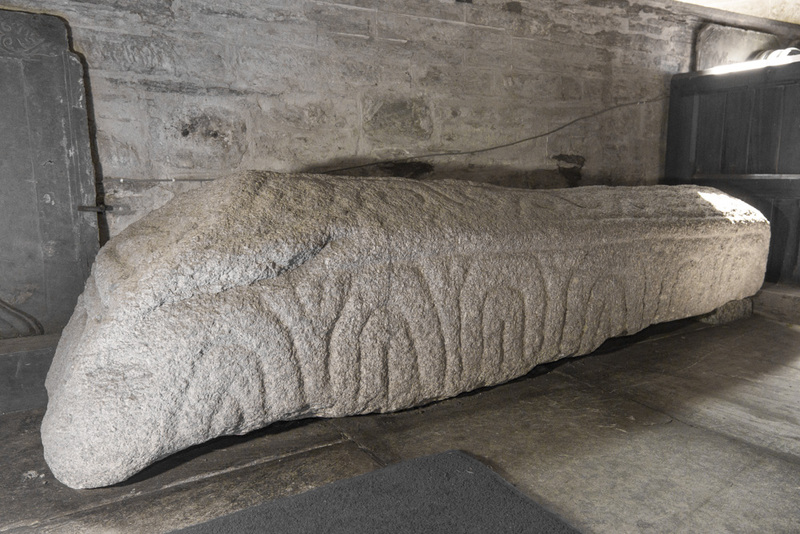 A 10th century coped stone (an early type of tombstone) now located within the church, was found in the churchyard and shows that this was an important early Christian site. St. Tudy is referred to in Liber Exoniensis (though not in the Domesday Book of 1086). The present church has a chancel, nave, south aisle, and short north aisle with a door in the south wall, a priest’s door and a blocked up north door. The Tower of three stages is 64 feet high and has five bells. There is an excellent wagon roof now bereft of its Georgian plaster by work carried out in 1873 by J P St Aubyn, especially as the Georgian plaster was inevitably decayed owing to the poor roof. 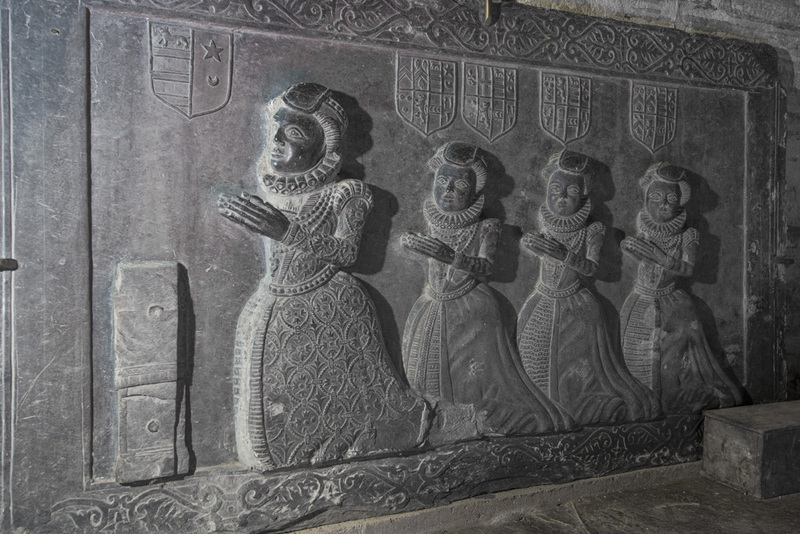 The inside of the church is adorned with a wealth of monuments and engraved slates, including some very fine carved slate-work of the 16th century and later, amongst other more recent additions. Many of the slate memorial stones that cover a significant area of the floor of the church, have suffered from the obliteration of their engravings. Unusually the Altar has four candlesticks and a magnificent 18th century embroidered foreign altar cloth as a reredos. The old carved oak pews were removed to Michaelstow Church in the mid-19th century and replaced with pitch-pine. In late 2013 some of the pews at the rear of the church were removed to provide an open area and matching slate laid on under-floor heating elements to replace the old and failed central heating system. There is under-seat heating for the remaining pews and chancel stalls. The first organ of 1892 has recently been completely rebuilt, much enlarged and designed to meet the current demands for a versatile instrument suitable for liturgical and concert use. With the re-roofing in 2003 and the reconstruction of the organ between 2006 and 2010 the church has expended over £85,000. The alterations to the interior of the church have changed its appearance compared with that of the early 19th century. The church also contains a list of rectors from 1264 to the present day, framed photographs of many of those who served in the World Wars and several pictures of doubtful artistic merit.